A Central Security Forces police officer was killed and five other policemen were injured on Tuesday in Qena in clashes with militants on the Western Desert road in Karnak village, Qena. Investigations revealed that while security forces were combing the road to arrest terrorist Amr Saad al-Shuwaikhy, accused of the bombings of both Tanta and Alexandria churches and planning terrorist attacks in Esna, a group of militants opened fire on them in the mountainous region of the road. The security forces engaged in a shoot-out, killing three militants. 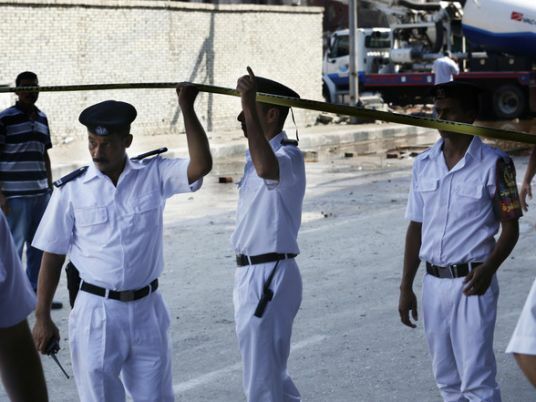 Major Ahmed Abdel Fattah Gomaa was killed and two low-ranking police officers, three recruits were injured. They were transferred to Qena General Hospital and prosecutors took over investigations. In related news, the armed forces destroyed an underground hideout belonging to militants in Central Sinai, and killed five militants on Tuesday, according to the armed forces Spokesperson Tamer al-Refaei.